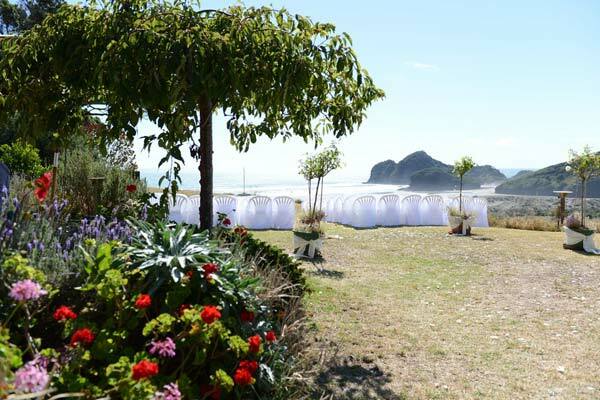 This unique wedding venue offers sweeping views of Bethells Beach and the majestic Tasman Sea. With first class facilities, boutique accommodation and an exquisitely crafted pavilion for up to 80 seated guests you can be sure all your wedding needs will be met. Trude is a marriage and civil union celebrant with 26 years of experience to support you when creating your personal ceremony and reception. Be true to your vision and dreams of your magical day. Our complete range of wedding packages is available to any couple that wish to get married in this beautiful location. Call 64 9 810 9581 or get in touch for more information.